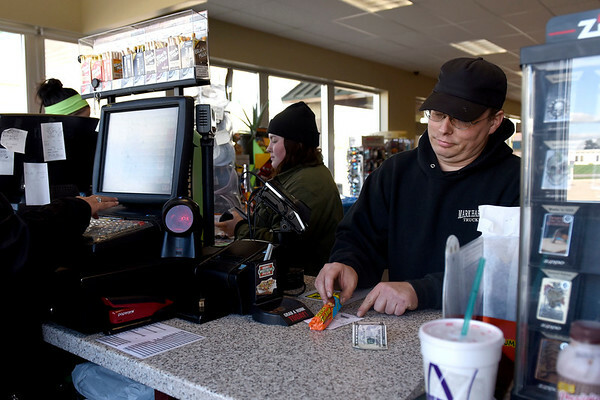 Neil Holmes, of Elkhart, purchases a Mega Millions lottery ticket Monday afternoon at the Lincolnway Mart at the corner of U.S. 33 and Kercher Road in Goshen. "If I win, I win," Holmes said. "I’ve already got a deal with four of my friends that we’d split it five ways."